Zucchini bread is a common American treat. However, if you think about it, it’s a weird idea. Green vegetables and bakery goods are an unlikely pairing. Whoever first added this green squash to sweet, cakelike bread was a strange and creative genius. It is a glorious combination and a great way to sneak some nutrients into a healthy breakfast. Most zucchini breads negate the benefits of the vegetable by loading it with unhealthy ingredients like refined flours and sugar. This healthy recipe maintains zucchini bread’s delicious charm—without the guilt! 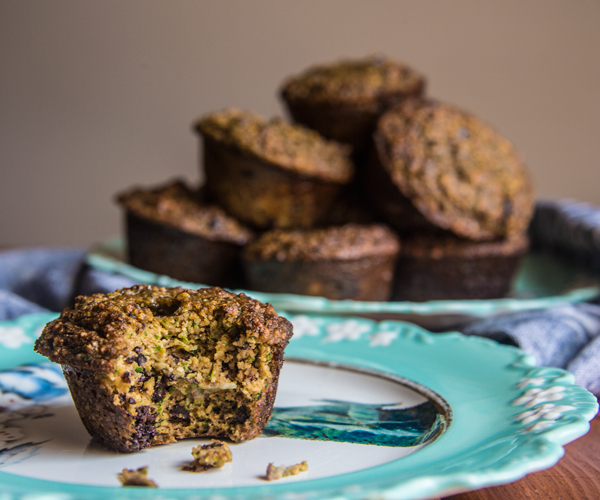 Enjoy these muffins as part of a healthy meal or snack. Grease a muffin tin and set aside. In a medium mixing bowl whisk the eggs until the yolk and the whites are blended well. Add in the remainder of the ingredients and mix well. Fill up the muffin tin with the mixture—for a softer muffin, scoop a larger serving of the mixture into the tins. Bake for 25 minutes or until the tops harden.